* Setup installs and starts dotBitNs service: More reliable then previous ‘self-install’ method. * Automatic configuration of namecoin.config file is less intrusive; preserves comments. * Remove StartUp shortcut from installer, it was being configured for all users, but new config option is per user. 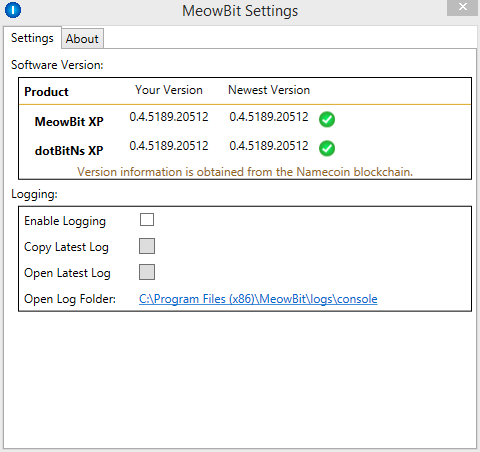 * In order to have MeowBit autostart, the user will have to explicitly set that in Settings window. * Start menu folder with Uninstall shortcut. 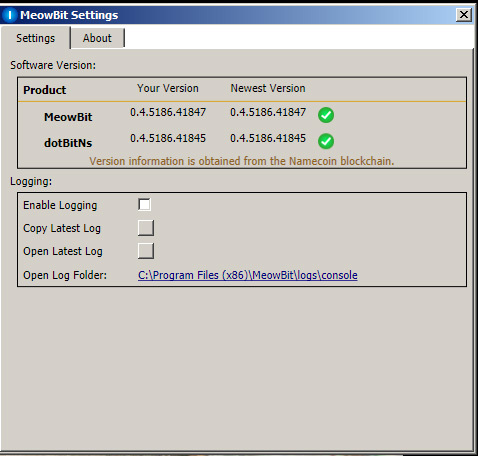 * Any configuration information that is found by the service is now saved so that it can connect to Namecoin client without the need for MeowBit monitor to be running. * Dot-Bit specification implemented: Empty sub-domain name (“”) may be used to configure the domain. Entries specified here have lower precedence. 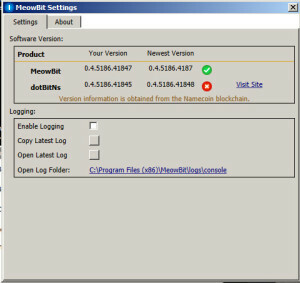 The MeowBit project (THE BEASTLICK INTERNET POLICY COMMISSION outreach team) has added an installer for the Namecoin wallet. 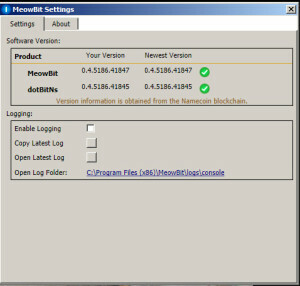 One of the main suggestions we’ve received on the MeowBit project is people wanting a one-click install for the Namecoin wallet. 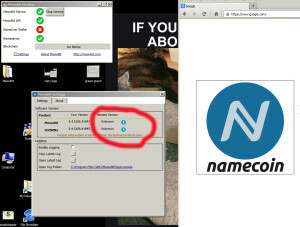 Many people do not understanding which file to click to install the Namecoin Wallet. So Derrick Slopey of THE BEASTLICK INTERNET POLICY COMMISSION Outreach Team has created a one-click install. 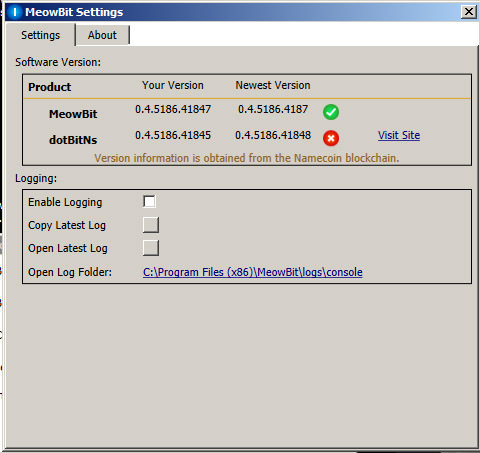 It’s the same wallet from Namecoin.info, but with the installer (and nothing else) added. 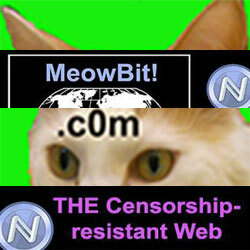 The binaries that are installed are taken right from the zip at namecoin.info. The installer just puts them in the right palace, sets some convenient registry entries, and creates some shortcuts. It also includes the Namecoin license file and readme. Feedback welcome. We hope the Namecoin.info team will vet this and adopt and host this as an official option along with to the current download which lacks an installer, and is not easy for the tech un-savvy to use.